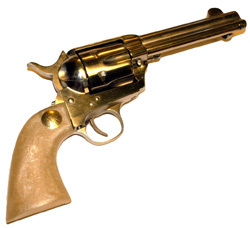 Welcome to Tombstone Gun Grip Kits secure on-line store! 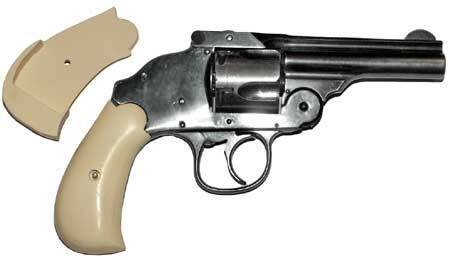 Tombstone Gun Grip Kits are individually cast in hand-made molds, some formed with original grips over 100 years old! 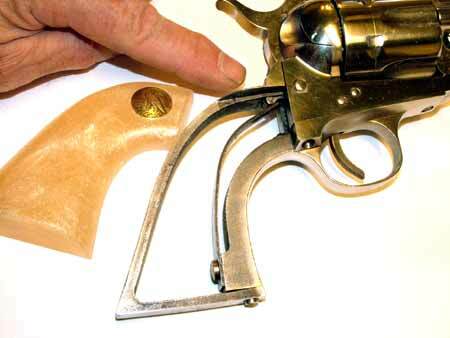 They are provided as semi-finished "kits" so you can save half the cost, or more, while achieving a perfect fit for your gun by finishing and fitting it yourself (instructions provided). Average time to make and ship a custom grip order is 90 days. 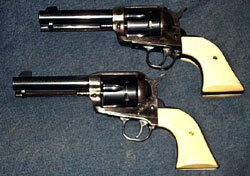 These are semi-finished kits made for gunsmiths and individuals who like to do a little hand fitting. They are 90% finished kits. All grip kits are custom made to your order for color or special effects, medallions, and certain optional features. You will need do some fitting and finishing, depending on the specific grip design. All grips are the shape and pattern shown on the listing page, but you customize by selecting from the listed colors, medallions and features shown for each kit. The grip specs are given for the minimum size, since slightly larger grips just give you more room for fitting. A grip listed as having a 2.1 inch base width could have 2.15 or 2.2 inches, which allows for trimming (use a fingernail sanding board to shape and finish). IF you want a replacement warranty, make a pencil tracing around your grips on a 3x5 index card, mark the screw holes on the tracing, and mail it (faxes and email images don't give true size). If you do this, then I can check the size, see if you ordered the correct grip, or suggest a different one. If you order a grip that is smaller than your tracing, it will be replaced on return with one that is large enough to be properly fitted. Size is warranted to be at least as large as the posted measurements. Without a tracing, there is no size warranty or return. Please do NOT send me your original grips! All I need is the tracing. If you insist on sending the grips, PLEASE include return shipping payment with them, in case I have no way to match them. I will return it if I can match them, but otherwise, if you want your grips back, include return shipping. However, I do not really need or want original grips, since all I really need is the tracing as described here: TRACING INFO. It is cheaper to send, and if the post office crushes it or loses it, you can make another one a lot easier than getting a new original set of grips! Just put it in a normal 1st class letter envelope...no need for fancy costly packaging. Trace around your grips on a 3 x 5 recipe card, easily obtained at any department store. Drop the cards (one for each grip half) in the mail. That's it. No big deal. Very easy. Anyone can run a pencil around the outline of a grip and mark the screw holes. Or hold the card against the frame of a single action with removable back strap and trace where the grip goes, cut it out with scissors and trim the pattern so it fits the gun like your grip. Then I can match that shape and size. 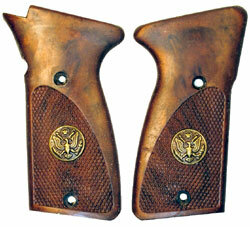 Each grip is a specific size and shape: COMPARE the dimensions listed with your gun's dimensions. Don't assume your gun is exactly the same size frame as every other example of that model: the same model of guns do vary! Each listing has a CHECK BOX so you can indicate if you send a tracing or not. 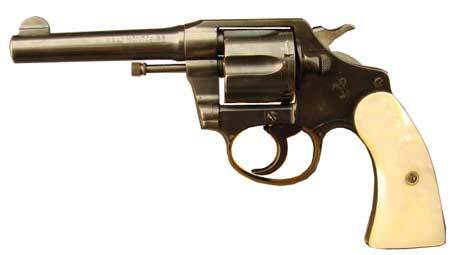 If not, you agree to be responsible for choosing the proper size/shape for your gun, and agree that if the grip does not fit your gun, it's your problem: there is no warranty for proper fit if you make the entire choice, and don't send a tracing for me to verify the size/shape. I can't guess the size of your gun's grip frame, but YOU can measure it! Grips are what you see in the listing: if you want a smooth grip, don't ordered a checkered one, and vice versa. Each grip is exactly what it says in the listing. 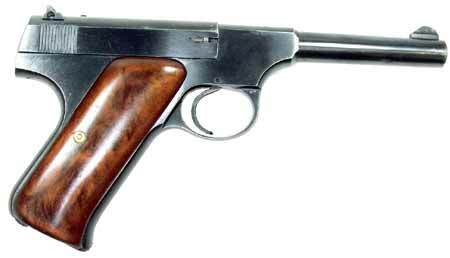 Likewise, a note that your gun is a certain model or serial number does not establish the right size: only a tracing or template as described in the terms of sale will permit a replacement warranty. You can select ANY of the colors, effects, or medallions from the drop-down listings for each grip. But unless the grip you order is shown as a staghorn, carved or checkered, it will be smooth, as shown. What you see is what you get. IMPORTANT! 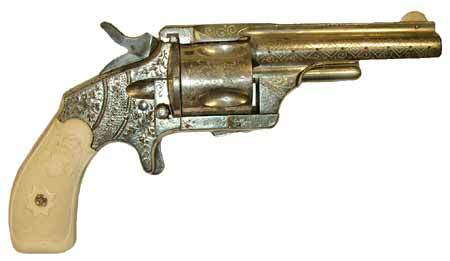 Your bank card statement will show "CORBIN Mfg", not "Tombstone Gun Grips". I use the highly secure manual card processing terminal at my tool manufacturing business. If you use a bank card for payment, please remember that "Corbin Manufacturing" is the same as "Tombstone Gun Grips", and the amount shown is what you ordered from Tombstone. Please place orders ONLY on this webstore. 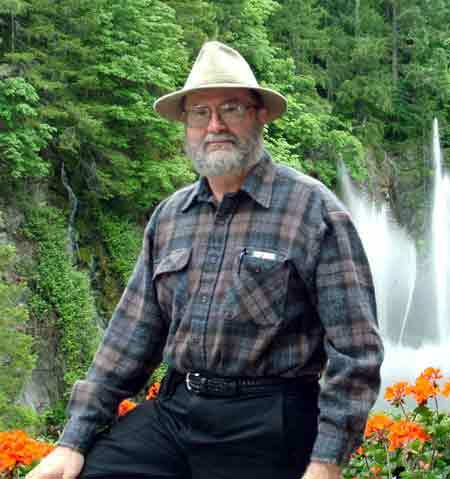 I will answer e-mails and faxes if you provide a valid return e-mail or fax number. My email is Dave@TombstoneGrips.com. Gripmaking is a weekend hobby: I am extremely busy with my main businesses during the rest of the week, and cannot return calls about grips. I will answer e-mails or faxes, or mailed letters, but please be patient as I may be on the road or unavailable for a few days at a time. I will answer all inquiries as soon as I can. If you don't see the grip you want listed, I don't make it yet. All the grips that I can make are shown here. They are made in molds. I make them all using various types of high strength polyurethane cast in these molds, with additives to create special effects and colors. I do not carve them from any other materials, make wood grips, work on someone else's materials, accept a piece of ivory or rare wood to turn into a grip, or do other kinds of special work that you don't see listed. Those are jobs best handled by a custom stock maker or gunsmith. Tombstone Gun Grip Kits are in such demand that I simply don't have the time to "branch out" into these other service areas. I do add new grips from time to time, so check back later! 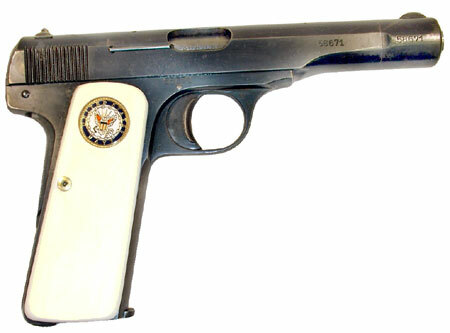 Some models and brands of guns may use the same grip as another brand or model, especially modern replicas of older guns. 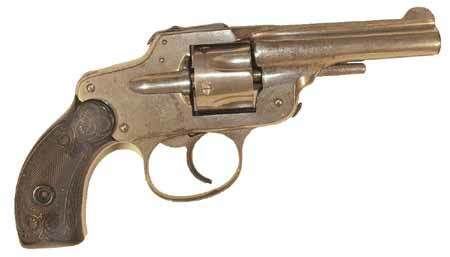 A grip originally made for a Pietta or a Great Western or some other model may well be the right size and shape for a Uberti or maybe the original gun itself. The way to tell is to measure your gun grip or frame, and compare the same measurements to the listings... or to send a good tracing that shows the exact shape and size. Conversely, the same make and model might vary considerably in shape and size due to undocumented production changes, so it is always a good idea to provide a tracing or to measure carefully, even if the model is the same name listed. With each grip kit being made to custom order, and hundreds of gunsmiths and gun owners taking advantage of this unique service every week, it can at times take time to finish a given order. The AVERAGE delivery time is on the main page in big print. Any given order delivery time depends on the backlog, which varies. I work as fast as I can, but if that's not good enough, just don't order and save us both the trouble. This is my hobby, which I do on weekends. I'm an old-timer who loves to help people get nice grips, but I don't have time to put up with impatient people who ignore the information given, and become upset because it is true! 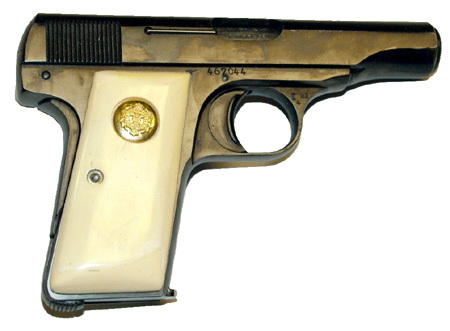 Most folks who want special grips for a favorite old gun or family heirloom are pleasant to deal with. You understand these are hand-made to order, and can take a while due to previous orders coming first. But then, as you know, there is always a bully in any group who thinks his wishes come ahead of yours. All my warnings and cautions are for HIM, not you! I enjoy working with you or I would be doing something else! That said, If you are in a hurry, check the "Specials" page for grips in stock. Those are grips already made, finished, and just waiting for you to order so I can ship asap! The description refers to the COLOR and not the material. All grips are made of polyurethane epoxy, not pearl, ivory, wood, etc. You can select ANY of the colors, or ANY of the various special effects such as amber, pearl, metallic shades, etc., from the drop-down menu on each order page. 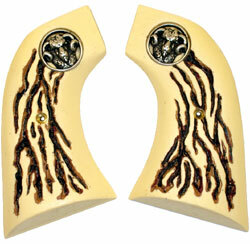 Staghorn grips are available in shades of natural or aged horn, only. Do you want Smooth, Checkered, Carved, or Staghorn? The specific surface (checkered, carved, smooth, staghorn, etc.) 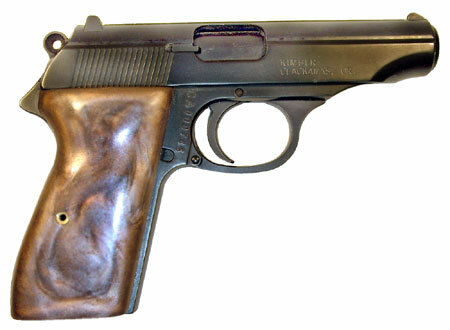 is formed in the specific grip mold. If you want checkered grips, order from a page that shows a checkered grip. I do not carve or checker a smooth grip, nor do I smooth a checkered one -- the grips come from molds with the surface fixed in the mold itself. To hand carve or checker a grip to order would raise the price far beyond anything you would wish to pay. Each mold has the exact pattern that you see in the illustration. I have only the patterns you see. If you see it, I have it. If you don't see it, I don't have it yet. 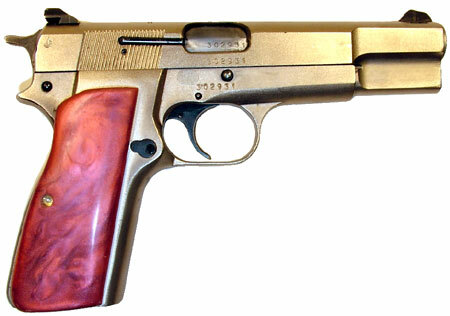 Most grips will require some sanding to fit your gun exactly. Some need routing on the back with a rotary bit hand-held hobby tool such as the Dremel or a small alignment pin hole to match a pin on your grips. Normally you will only spend 5 to 30 minutes fitting and finishing, depending on your skill and the particular grip. 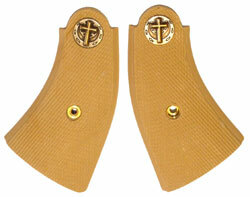 Early Colt style grips (one-piece) are sold as 3-piece kits with instructions for assembly to fit your gun. See the details for each listing. You can choose to have screw mounts installed on most grips. 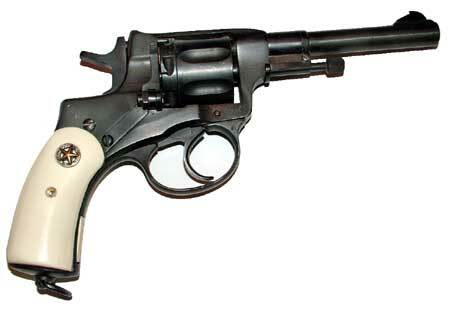 IMPORTANT: Most grips shown have dimensions and photos that you need to compare to your gun. Do not simply order by model or name alone without checking the specs, because many guns have the same model with various grip frames used at different times, or have wide tolerances in size with no change in the model designation. I will exchange grips if and only if you send a template or tracing and the grips are not at least that large. If you didn't send a template or tracing (not an email, fax or photo, but a real tracing), and checked the box that said you would compare measurements and be responsible for choosing the right size, then the grips sent cannot be returned because they "don't fit" your gun. 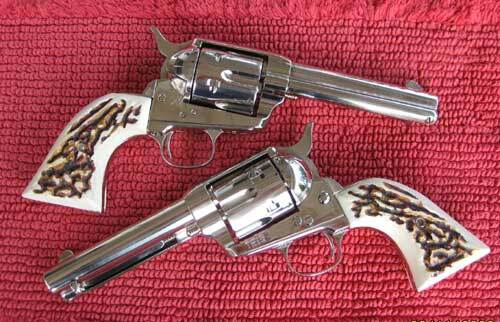 The time to decide if they will fit is when you read the listing and check the measurements against your gun! Please select the category of item, on the left column. You can browse and view items at will, click "add to shopping cart" or "buy now", or click the small image to see a full page about the item, with details and options (colors, medallions, mounting options). 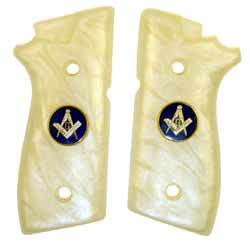 Manufacturers are invited to contact Dave@TombstoneGrips.com for quantity pricing.